A man sits in a patrol vehicle after authorities respond to a call of a brother shooting his twin in Palmdale on Thursday, Nov. 30, 2017. PALMDALE, Calif. (KABC) -- A 33-year-old man is under arrest, accused of shooting his own twin brother during a fight in Palmdale. 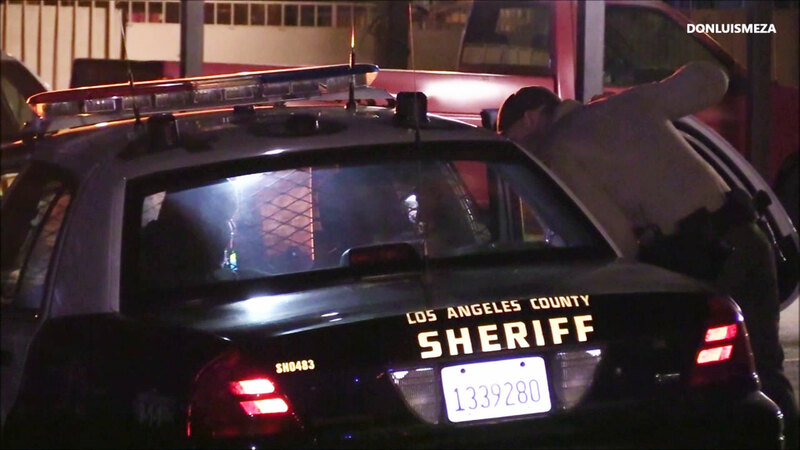 Los Angeles County sheriff's deputies said the suspect is the one who called them around 5:30 p.m. Thursday, claiming he shot his brother in self-defense. The twin who was shot was apparently trying to pick up some belongings from his brother's apartment, in the 38300 block of Division Street. Investigators said that's when the two got into an argument, which turned into a physical fight. The wounded twin, who was shot in the stomach, was taken to Antelope Valley Hospital and is expected to survive. Deputies said they recovered a handgun at the scene.